September 13, 2018 by Benjamin G.
Laemmle Theatres and the Anniversary Classics Series present a screening of one of the groundbreaking movies from the tumultuous year of 1968, Richard Lester’s PETULIA. Set in 1960’s San Francisco, the story of a troubled love affair between a divorced surgeon and a free-spirited socialite captures some of the disruptions of a society in transition. 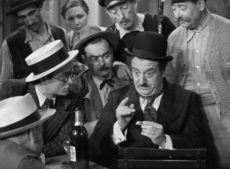 PETULIA marked his first foray into dramatic filmmaking, though it retained the comic and satiric touches of his early movies. Lester’s daring approach to non-linear storytelling had a tremendous influence on a later generation of filmmakers, including director Steven Soderbergh, who published a series of interviews with Lester. PETULIA, produced by Raymond Wagner, was adapted from a novel by John Haase. Lawrence B. Marcus, who later earned an Oscar nomination for his script of ‘The Stunt Man,’ wrote the screenplay. The technical team behind the movie was also first-rate. Five-time Oscar winner John Barry composed the score, with some help from on-screen performances by Big Brother and the Holding Company, the Grateful Dead, and other San Francisco bands of the ’60s. 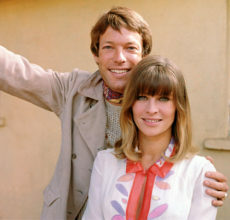 Richard Chamberlain, star of stage, screen, and television, will join the Q&A of PETULIA with actress Shirley Knight. Chamberlain was best known for the Dr. Kildare TV series when director Richard Lester decided to cast the actor against type as the abusive husband of Julie Christie in PETULIA. The role helped to alter Chamberlain’s image and enhance his reputation and his visibility. PETULIA screens on Thursday, September 20th at 7pm at the Laemmle Royal in West LA. Q&A with Shirley Knight and Richard Chamberlain. Click here for tickets. TRIED NUMEROUS TIME TO GET TICKETS, BUT IT DISAPPEARS BEFORE I CAN DO ANYTHING, PROBABLY MEANING YOU ARE SOLD OUT. IF NOT PLEASE E-MAIL AT jlfesqlaw@gmail,com or telephone 310-867-0905 so I can order.